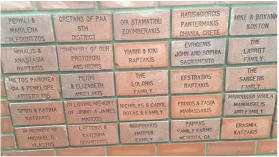 The Hellenic Orthodox Educational and Cultural Center in Lincoln, CA and DIAS Sacramento, the Sacramento chapter of the Pancretan Association of America are excited to work together to build a barbecue plaza at the Hellenic Park, with the shared goal of creating a space that can be enjoyed by families and friends throughout the year! 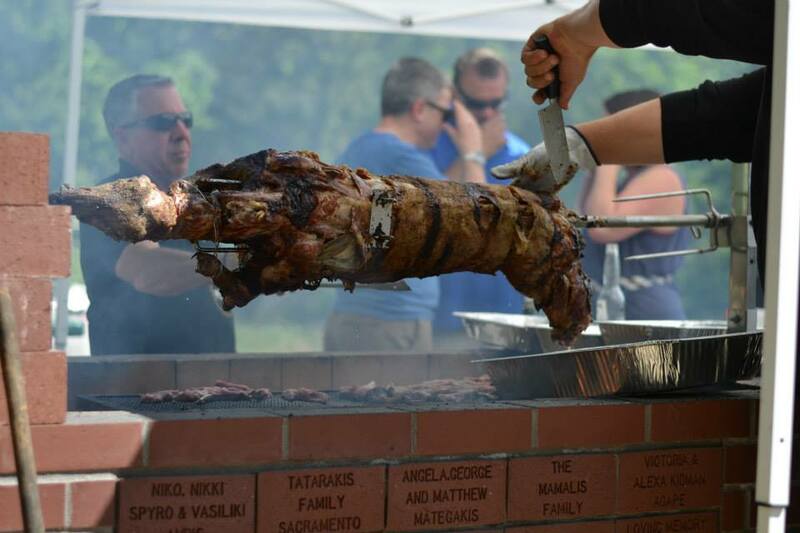 The Cretans of Sacramento are proud to sponsor this project because the spirit of the barbecue plaza resonates that of the park, to have an outdoor space that serves the entire Hellenic community and beyond! 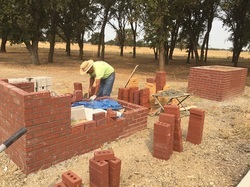 DIAS Sacramento's' goal is to build 4 brick BBQ's, each holding 2 souvles, where people can gather, cook and make special memories year after year. DIAS invites the community to participate by purchasing personalized engraved bricks that will be incorporated into each barbecue and the encompassed shade structure. This is an opportunity to memorialize a family member and/or celebrate those dear to us is unique and special way! To join in this exciting and special project please download and complete the order form on this website. The cost of a brick is $100.00 and makes a great wedding, birthday, baptism and X mas gift to celebrate a loved one! Currently, 2 of the 4 BBQ's have been built! And there are a limited amount of bricks available to complete the project! The goal is to sell the remainder of the bricks by December 31st, 2017 so building can be completed by Easter of 2018. We hope that this plaza will give the Hellenic community a place where we can all gather, cook and make special memories year after year! WE THANK THE HOECC FOR THE OPPORTUNITY TO SUPPORT OUR GREEK COMMUNITY! THANK YOU ALL FOR FOR YOUR SUPPORT! HELLENIC ORTHODOX EDUCATION AND CULTURAL CENTER, INC. The Hellenic Orthodox Education & Cultural Center (HOECC) is a non-profit 501 (c)(3) organization which owns and operates the Hellenic Park outside of Lincoln, California. Its board is comprised of members from the greater Sacramento Hellenic community. HOECC was established to oversee the 160-acre property that was donated by Angelo K. Tsakopoulos and his family for the benefit of the Greek Orthodox community of Northern California. HOECC facilitates all events held at the Hellenic Park and coordinates the annual Easter celebration.